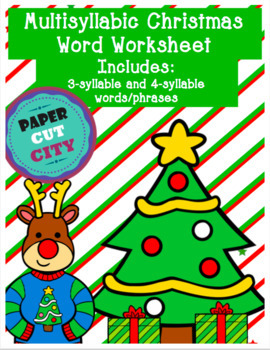 A festive and fun multisyllabic word/phrases worksheet. 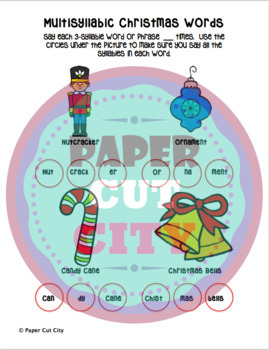 Words and phrases used focus on Holiday words and commonly used vocabulary. Comes with both 3-syllable and 4-syllable words/phrases.